Climate change is the most critical social, political and economic issue we face today. How will our society meet the challenges and changes brought on by it? How can we couple the transition away from fossil fuels to the development of a more just economic and environmental system? What will the various sectors of our economy look like after this transition? The Canadian Union of Postal Workers — in partnership with the Canadian Center for Policy Alternatives, The Leap Manifesto, Acorn Canada, Friends of Public Services and SmartChange.ca — has put forward a bold proposal to address these questions. It’s called Delivering Community Power. 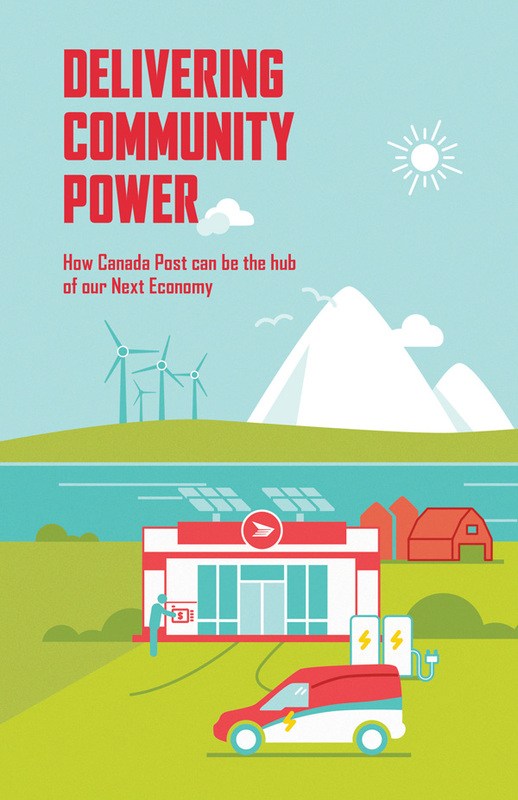 They propose an electric-powered fleet of Canada Post vehicles, along with vehicle charging stations at post offices. Postal banking would be made available, where loans could be secured for renewable energy installations and home energy retro-fits. 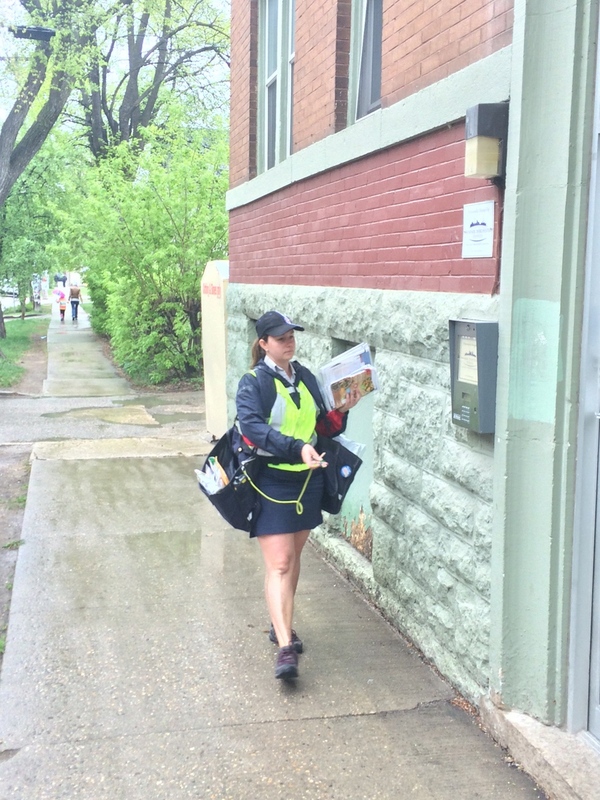 Canada Post would connect people to specialists to help make it happen. Fresh produce would be delivered directly from farms to households, and existing Canada Post door-to-door service would check in on seniors, helping deliver medications. In spite of the promise and possibility in these ideas, bringing them about will be an uphill battle. The response of entrenched interests to the Leap Manifesto has been shrill. Some have scoffed at the Delivering Community Power proposal. But with the development of a new federal climate change action plan now in the works, this is the moment to push for a just transition away from fossil fuels and for communities to articulate what they want from this transition, the authors of this innovative proposal say. The moment may never come again. Four to eight years from now it may be too late. Fast Forward: Stories of Challenge & Change is produced with the generous support of the Government of Canada, the Social Justice Fund of Unifor, and the Community Radio Fund of Canada. Musical interludes in this story by Shaun O’Halloran, Dan Weisenberger and Eliya. Thanks to Roger Dumas for his wonderful human brain ‘sonifications’, one of which appears in Fast Forward intros/extros. For more information about Roger’s Pieces of Mind CD, go here.